To succeed in today’s competitive environment, it’s a must for a business to have a website. User-friendly Wix allows a business to create a website with little effort. With its easy-to-use drag and drop templates, a business can customize its website for a professional, brand-forward look. Although creating a Wix website is free, a company is better off, though, to purchase its own domain. Purchasing a domain is a cost-efficient way to have an easy-to-find web address that better reflects the new brand. A low-cost, user-friendly tool, GoDaddy allows a business to purchase its own customized domain. Brainstorm several choices before buying, though. Choose a name that customers can remember easily, one whose meaning relates to the company’s products or services. Can’t afford a fax machine? eFax is a low-cost monthly subscription service from which businesses can send and receive faxes without the costly alternative. Having such a service will allow a business to communicate quickly and easily with customers and potential customers, giving the company an opportunity to generate excellent online reviews, which, in turn, will grow the customer base for the business. Email marketing is one of the best ways to communicate with current customers and make new ones. The trick is to avoid spamming (use double opt-ins) and provide usable information that helps the receiver solve tough challenges. MailChimp is a low-cost (free for low-volume users) email solution that allows a company to send out email newsletter, coordinate them with social media, and maintain a segmented database to which a business can send targeted mails to certain segments of the customer base. User-friendly interfaces and a double opt-in system makes MailChimp a great way for a new business to get its email strategy off the ground. It doesn’t have to be expensive to make an impression. Useful freebies that a company can hand out build goodwill while getting the company’s name out in front of more eyes—in effect, allowing customers to be the company’s “advertising agency.” Most promotional gear is low in cost and high in ROI (return on investment. A startup should look at its potential customer base to discover which social media platforms they use most. Target these platforms, make the company’s presence known, and keep the lines of communication open through sharing useful information, fast responses, and ongoing conversations. Video meetings are a must for today’s startups. When a company needs to speak face-to-face with customers or colleagues, yet distance intervenes, a free video platform like Skype or Google Hangouts is indispensable for conferences, meetings, or teaching. It’s tough to find local graphic designers who can create the kinds of logos that can give your business a memorable face without spending a ton of money. Fiverr gives companies access to thousands of affordable freelance designers from all around the world who can create quality, eye-catching logos that will stick in your customers’ minds for years. To get the attention of customers and search engines alike, a company needs effective written copy for its website, social media posts, print ads, and media ads. A low-cost service that employs only native English-speaking, pre-screened writers, Get a Copywriter provides quality copy for a fraction of the cost of hiring an in-house professional copywriter or signing with a pricey Madison Avenue advertising firm. With these low-cost tools at the ready, a startup business can get off the ground easily. 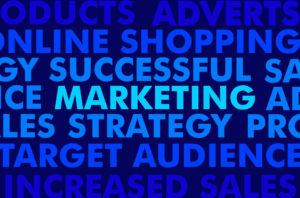 Small businesses, too, can benefit from these user-friendly marketing tools.